Dr. Deepak Goyal carries with him more than 11 years of post MD experience. 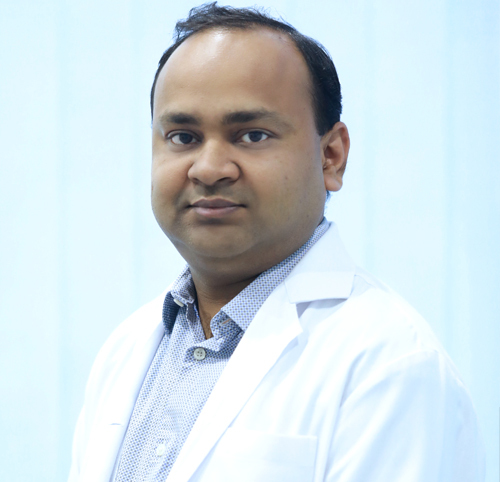 Having obtained his MD in Radiodiagnosis at Indira Gandhi Medical College, Shimla, India, he followed with Senior Residency in the prestigious Post Graduate Institute of Medical Sciences (PGIMER), Chandigarh, India. He cleared DNB (Diplomate of National Board) in the very first attempt after which he went on to pass the coveted Fellowship of Royal College of Radiology (FRCR), from London, UK. Additionally , he has secured Master of Medicine in Diagnostic Radiology (M. Med.) from National University of Singapore.To his credit he also obtained a European Diploma in Radiology (EDiR), from Barcelona, Spain further enhancing his academic credentials. Dr. Goyal is a general radiologist with a special interest in Neuro radiology.